One benefit of the Christmas holidays is the chance to catch up on various jobs that need doing and books that need reading. One book that I have had for a couple of weeks is Scratch Programming in Easy Steps by Sean McManus. 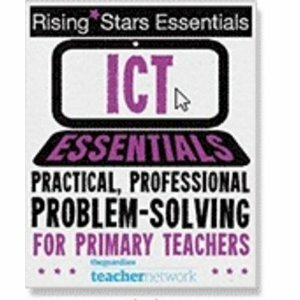 I know that many people will find this book extremely useful and as I have mentioned before, Scratch has been part of my ICT curriculum in school for a few years now. Programming won’t take over the curriculum, but if you are looking to introduce Scratch then this is a useful book to use. This takes the excellent resources from Code Club a few steps further. Those are good for getting started but this book actually begins right at the beginning, with explanations of the different blocks and their functions as well as instructions for changing elements such as the background or the main sprite. Every aspect has colour images (crucial when using Scratch’s different coloured control blocks!) and it also includes step-by-step guides to writing each program. The next step for me would be to adapt the numbers. What happens if the 50 becomes a 5? Or I change this to 2.5? As confidence grows, children and teachers can then explore changing blocks to see the impact it will have. The book is very clear and gives lots of information about each element. Once the basics are covered, there are various projects such as playing Dodgeball, creating your own choir (little bit odd, but fun) and also creating your own quizzes and conversations. Towards the end of the book there are projects involving Raspberry Pi and webcams as well as some short projects such as Keepy-Uppy. The book covers the how to do it but doesn’t give examples from the classroom. But that’s where good teachers come in. I saw the conversation aspect and thought about how I could get two characters from my Guided Reading book talking to each other discussing why they had acted like they had. If I was looking at the new Computing curriculum and wanted to include aspects of Scratch, I would start with this book and Phil Bagge’s Code-It website which has plans, resources and videos. Then, when confidence has been developed, teachers could change the dodgeball game to a similar one but with a different outcome and this will enable your plans to grow and grow. For information: I was sent a copy of this book to review, but if I didn’t like it, I would say so.